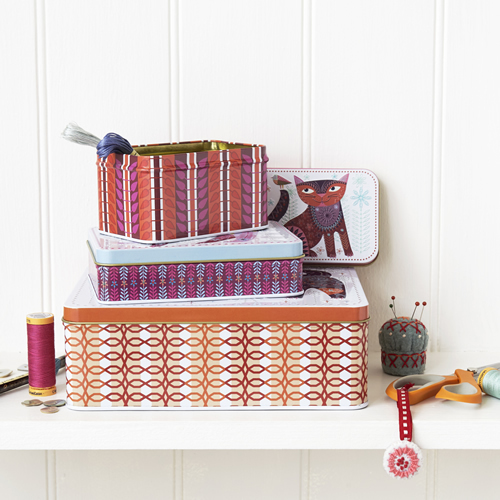 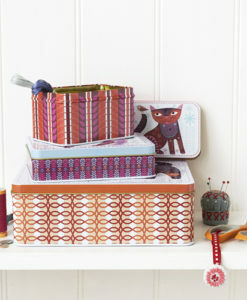 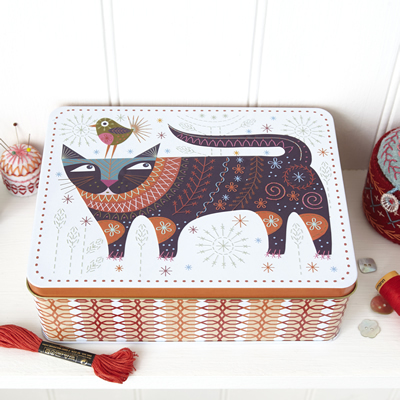 “The Cat Tin Collection consists of three beautifully printed and embossed designs making wonderful sewing boxes. 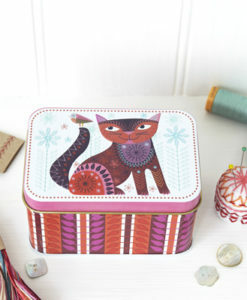 The smaller tins are perfect for thread and needles. 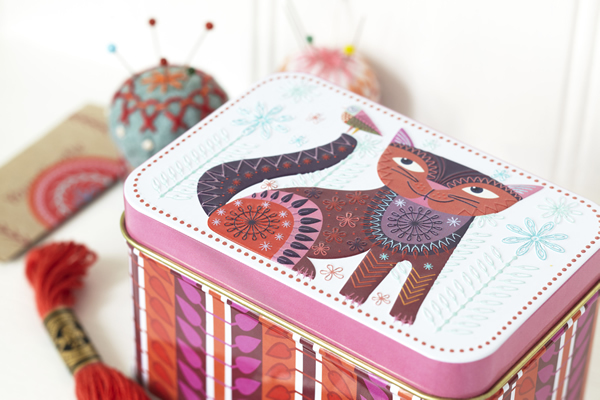 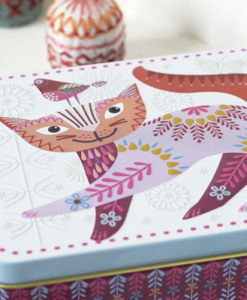 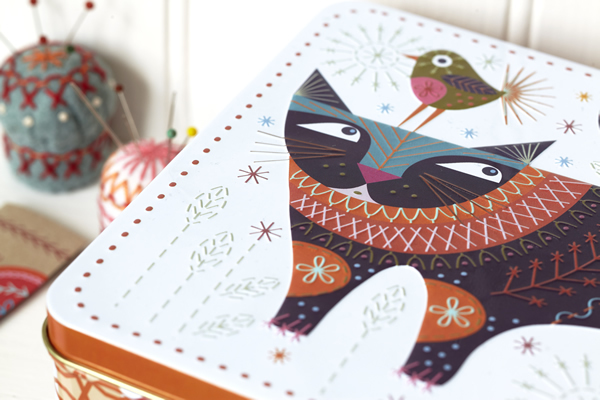 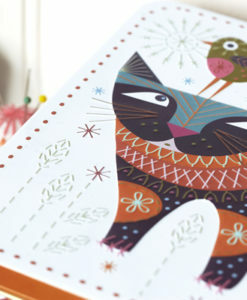 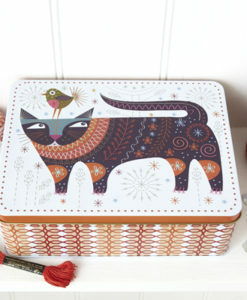 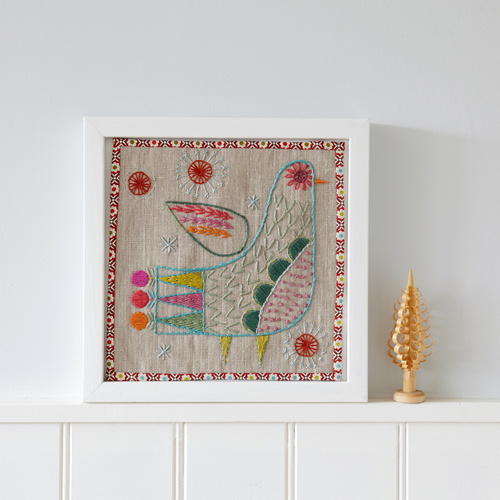 The larger tin features our most popular embroidery kit the Cat! 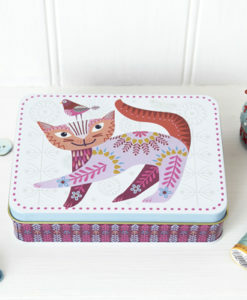 All Three Tins SPECIAL price with extras! 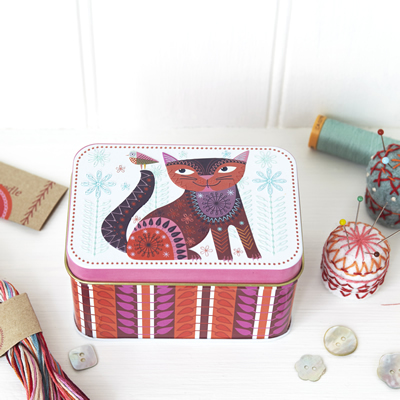 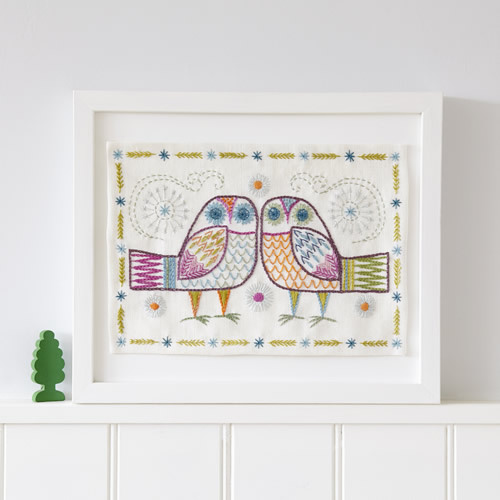 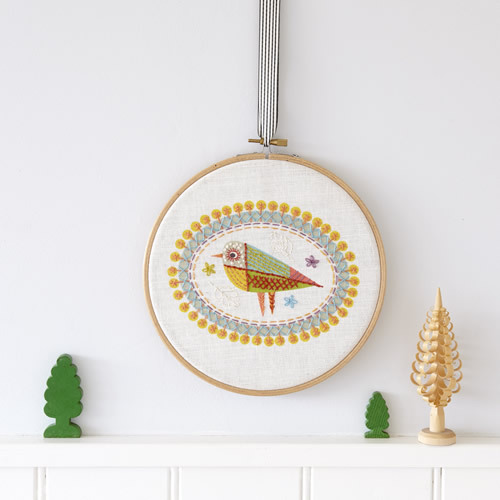 When you buy all three tins you will also receive a pattern for a scissor fob and a starter stitch library, a skein of stranded embroidery cotton, a needle and two sheets of a linen cotton mix fabric to practice your stitches on. 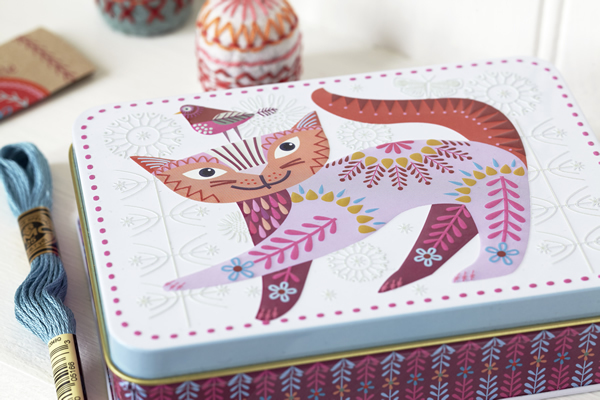 All three cat designs used on the tins are also available as full embroidery kits. 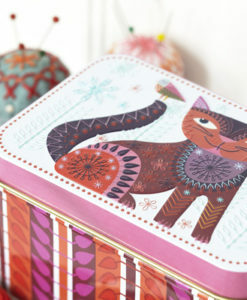 They make the perfect gift to complete the package! 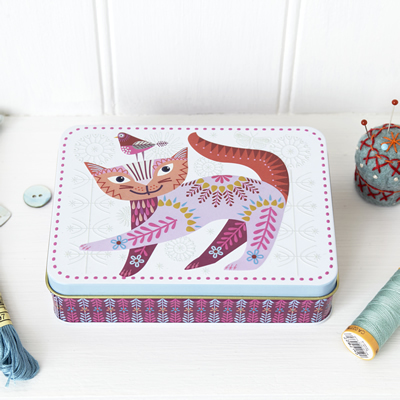 You can keep your embroidery project in the tin while you work!